Sebastian has been in the industry for over 7 years now. He is currently heading the UA networks team at InnoGames which focuses mainly on acquiring new users for several mobile gaming apps, as well as for desktop browser games. His favorite topics are mobile tracking, fraud detection and dashboards. What do you believe is the biggest marketing challenge you face in the year ahead? – new big viral hits like Fortnite, PUBG, Brawl Stars etc. What methods have you put in place to combat ad fraud in 2018? We have set live a new click injection filter from an external tool, which blocks all clicks on Android happening after the download from Google Play has started. Before it was just possible to block clicks after the download was completed. We also added an internal check on many small payments coming from the same IP, as this fooled our LTV prediction in the past. We are sending out a monthly fraud report to our whole marketing department. Comparing 2018 with the previous year, have you changed or adjusted your ad spend on smaller display networks in an effort to combat ad fraud? Yes, we nearly stopped running any mobile campaigns on affiliate networks. As many affiliate networks only offer to run blind, we most likely just received the same fraudulent traffic over and over again. Therefore we mainly focus on networks which only offer inventory via their own SDK. In your opinion, which are the untapped channels/ad networks app marketers should explore in 2019? Right now I don’t see any untapped channels coming up soon. I rather think and hope that there will be more consolidation in the ad network landscape. Instead of testing more and more new ad networks, UA managers should focus on growing the existing ones. To stay competitive within one ad network, you always need to test new features (e.g. ROA opt campaigns) to be up to date on the recent best practises. I also hope to get more insights on the auction and maybe a smarter bidding. The problem we have especially on the rewarded video ad space is that there are many ad networks bidding on the same inventory because of mediation platforms. In the worst case you bid against your own campaigns from another ad network. How do you view the impact of AI on mobile user acquisition in the coming year? Especially Facebook and UAC showed how powerful AI for campaign optimization can be. More and more ad networks will try to follow this path. The only question is if it is working in the same extend without having so much data like the two big ones mentioned earlier. In what way, if any, do you plan to harness AI to improve your UA campaigns or overall strategy? On the one hand we will keep on testing new AI optimization features which are getting introduced by the ad networks we are working with. On the other hand we are also improving our internal campaign optimization tools where we try to automate as much as possible. 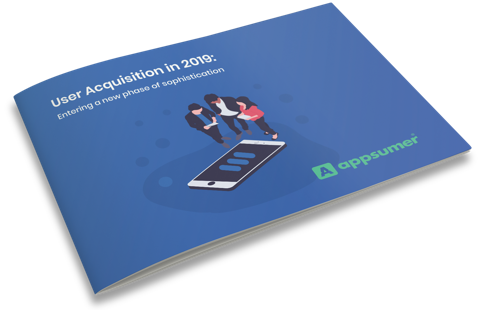 Hear from an array of mobile experts on their strategies for tackling similar issues for the year ahead and download in our full User Acquisition in 2019 report.